►►Analysis: StratFor email leaks offer frightening view of government intelligence. 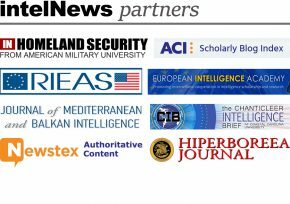 As promised in December, WikiLeaks has begun to release a stash of emails related to the modus operandi of the private intelligence sector, using Texas-based StratFor as a case study. The CIA has long used private intelligence firms for ‘black ops’, allowing for plausible deniability in the event that an operation goes pear-shaped and public accountability threatens. But these emails suggest that there’s now far more to the incompetence of America’s intelligence services than meets the eye. ►►US still using U-2 to spy on North Korea. For more than 35 years, the U-2 has been one of Washington’s most reliable windows into military movements inside North Korea. Unlike satellites, U-2s can be redirected at short notice to loiter over target areas. Last month, the US Air Force postponed at least until 2020 any plans to replace them with costlier, unmanned Global Hawks. Now, as the world watches for signs of instability during North Korea’s transition to a new leadership, the U-2 operations are as important ―or more so― than ever. ►►Thin line separates cyberspies from cybercriminals. New research appears to raise questions over the conventional wisdom that pure nation-state cyberspies rarely dabble in traditional financial cybercrime. Dell SecureWorks Wednesday shared details of a complex study it conducted of two families of espionage malware that have infected government ministry computers in Vietnam, Brunei, Myanmar, Europe, and at an embassy in China. ►►WikiLeaks to publish 5 million StratFor emails. In its latest high-profile data dump, WikiLeaks is to reveal five million internal and external emails from StratFor today. In a press release late Sunday, Wikileaks said the emails “show StratFor’s web of informers, pay-off structure, payment-laundering techniques and psychological methods”, and reveal “how StratFor has recruited a global network of informants who are paid via Swiss banks accounts and pre-paid credit cards. Stratfor has a mix of covert and overt informants, which includes government employees, embassy staff and journalists around the world”. ►►Analysis: Blurred line between espionage and truth under Obama. “There is plenty of authorized leaking going on, but this particular boat leaks from the top. Leaks from the decks below, especially ones that might embarrass the administration, have been dealt with very differently […]. And it’s worth pointing out that the administration’s emphasis on secrecy comes and goes depending on the news. Reporters were immediately and endlessly briefed on the “secret” operation that successfully found and killed Osama bin Laden. And the drone program in Pakistan and Afghanistan comes to light in a very organized and systematic way every time there is a successful mission”. ►►Nazis had spy in MI5 but failed to use him. Dutchman Folkert Arie van Koutrik was the first German agent to ever infiltrate MI5 when he was employed by them in 1940, just a month before Anthony Blunt, who was later exposed as a Soviet spy. Koutrik had already worked for Abwehr, the German secret service, before the war as a double agent with MI6 in Europe and exposed some of the UK’s top agents. But, incredibly, after he moved to the UK and joined MI5 all contact appears to have broken off.